In an era when the social and cultural centers of many immigrant communities rested in labor unions and fraternal societies with radical politics, the Hall became a major community center for the large Italian community of Barre, serving as a venue for agitation, education, entertainment, and even shopping. At the turn of the twentieth century, the burgeoning granite industry’s need for skilled craftsmen made Barre a destination for stone cutters, sculptors, and quarrymen, from all over Europe, particularly from northern Italy and Scotland. These radical Italian immigrants banded together in 1900 as Social Club #2 to build a hall that could serve the needs of their new community. The “Socialist Block,” as it was often called, was embroiled in controversy even before it was completed. The details, as reported in the Barre Evening Telegram, barely two weeks before the Hall was due to open, demonstrate the importance of the unions to the founders of the Hall. The new building on Granite street which is now almost completed, and built by the Socialist Labor Party, is creating a little trouble or controversy amongst the labor unions. It seems that the Granite Cutters National Union agreed to rent the hall and offices from the proprietors of the building, but yesterday a committee of two from the GCNU waited on the SLP and informed them that they could not be held to their agreement, as they had been informed that the building had been put up by scab laborers. “A year ago I believed this project of the comrades of Barre was just a utopian dream, and the patriots would say perhaps that the Hall is destined to fail. But when I saw the devotion with which our comrades were working there, I became convinced that for many years the Hall would have significance as the fruit of the judicious activity of our comrades, and that in the Hall many would awaken from the long hibernation in which they have lain, and many consciences will be revolutionized. “The construction is very beautiful. 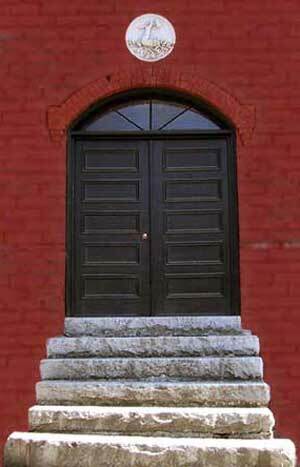 The facade, with a large flight of steps, is all of stone and red brick, with a large and majestic entrance, over which in the near future will be installed the great symbol of the S.L.P., the work of comrade E. Dunghi. The contractor vociferously denied the accusation and, after an investigation, the Granite Cutters Union did move into the Hall. The Hall opened on November 28, 1900, to great fanfare. The guest of honor was the editor of Il Proletario, Camilo Cianfarra of New York, invited to lecture on the topic, “What is Socialism?” to a standing room only audience of nearly 700 people. His lecture was followed by dancing into the wee hours. 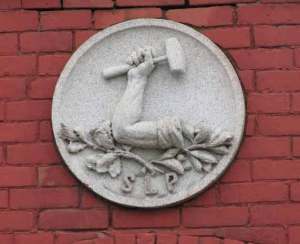 Granite plaque above the door of the Old Labor Hall showing the arm and hammer emblem of the Socialist Labor Party. Carved by Egidio Dunghi, one of the founders of the Hall. Nine days later, the carving of the famous emblem of the Hall was completed by sculptor Egidio Dunghi and ready for installation over the front door of the Hall, where it remains to this day. The Hall was now available to serve the political, economic, cultural, and social needs of the radical Italian immigrants of Barre and nearby towns. The grand opening activities were just a foretaste of the constant stream of economic, political, and social activities centered on the Socialist Labor Party Hall. Its impact was local, national and international. For the Italian immigrant community the Hall was not only a community center, but the Union Cooperative Store in the basement of the Hall provided a source for Italian foods and ingredients. Also located in the basement were a bakery and a laundry. The commercial aspects of life at the Hall flourished. 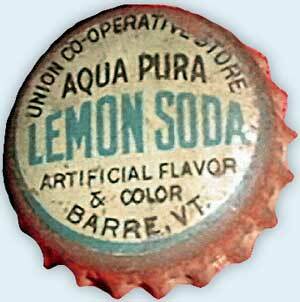 A branch store was opened in nearby Northfield, and in 1906, the Coop purchased a bottling works. The bakery building located to the rear of the Old Labor Hall builiding. In 1913, in response to the increasing demand for baked goods and the devastation caused in the basement by one of the disastrous floods that periodically inundated the Hall, the Coop built a separate bakery building. 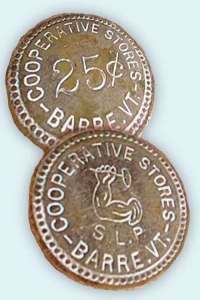 25-cent token issued by the Union Cooperative Store. The Barre Historical Society also owns tokens in denominations of 5 and 10 cents. It is not yet know if there were other denominations. The Coop was so successful that it issued Coop coinage which proudly displayed the SLP arm and hammer symbol. 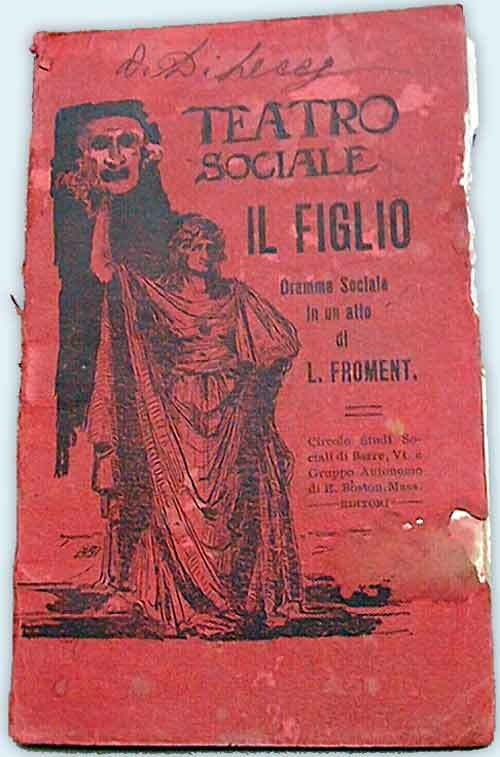 Some of the profits from these entrepreneurial activities were used to supply the needs of the local community and the home country, subsidies of Coop membership for customers who could not otherwise afford shares, funds for Italian earthquake relief, donations for individuals in difficulty, and support for the Società di Mutuo Soccorso, a self-help society which provided for the families of members, frequently devastated by the silicosis which was rampant among granite workers. Although they supported their own, the adherents of the Hall were not parochial. They were actively involved in radical economic and political movements of the day. The Hall was always available as a rallying place for the labor movement and was used as the base for various local union activities, including successful organizing drives for workers in all the Italian stores and in Barre bakeries. In addition to the Granite Cutters National Union and the Granite Cutters’ International Association, the Hall was used at various times by the Central Labor Union, stonemasons, plasterers and bricklayers, tool sharpeners and cutters, branches of the Granite Cutters, and the Union Benefit Insurance Association. 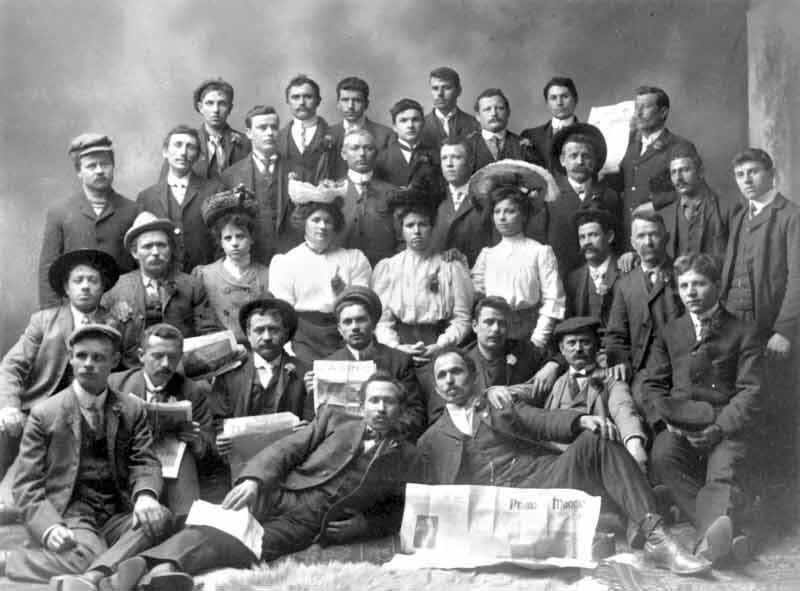 Events included regular meetings, mass meetings, contract and strike votes, strike-pay distribution, and fundraisers. Political activity was the lifeblood of the Hall. In addition to the regular political education activities held there, the Hall provided a venue for special lectures, meetings, fundraisers, and other organizational activities of a number of political groups: including the Socialist Labor Party, Socialist Party, and the Industrial Workers of the World. For those groups that participated in electoral politics, regular caucuses were held at the Hall for the purpose of nominating candidates for Barre municipal elections. By 1908, Social Club #2 was consistently supporting the Socialist Party of America led by Eugene V. Debs. In 1916, granite cutter Robert Gordon was elected Mayor of Barre, as was quarry worker Fred Suitor in 1928–both as socialists. The Hall also hosted state political conventions of the Socialist Party of America for the nomination of statewide candidates. 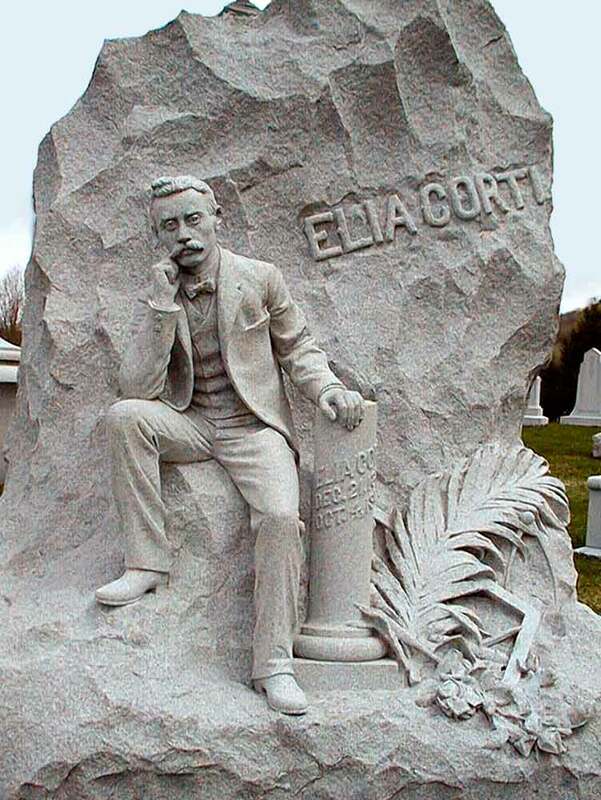 In the most infamous incident, in 1903, Elia Corti was shot in the doorway of the Hall while a crowd was awaiting the arrival of a speaker. 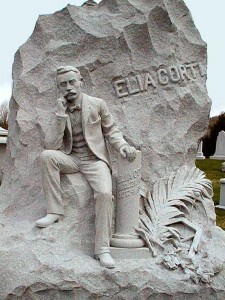 Corti’s monument is one of the most admired in Hope Cemetery, showing Corti himself with his granite tools by his side. The Socialist Labor Party Hall gave Barre a national reputation among radicals, and they in turn left a significant imprint on the history and culture of Barre. 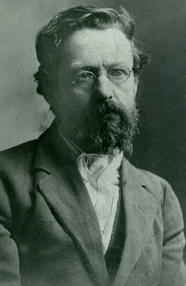 Barre hosted many of the notable labor and radical speakers of the early decades of the twentieth century. Emma Goldman lived on Granite Street before she was driven out of town and Luigi Galleani, leader of the Italian anarchist movement, lived in Barre from 1903 to 1912. 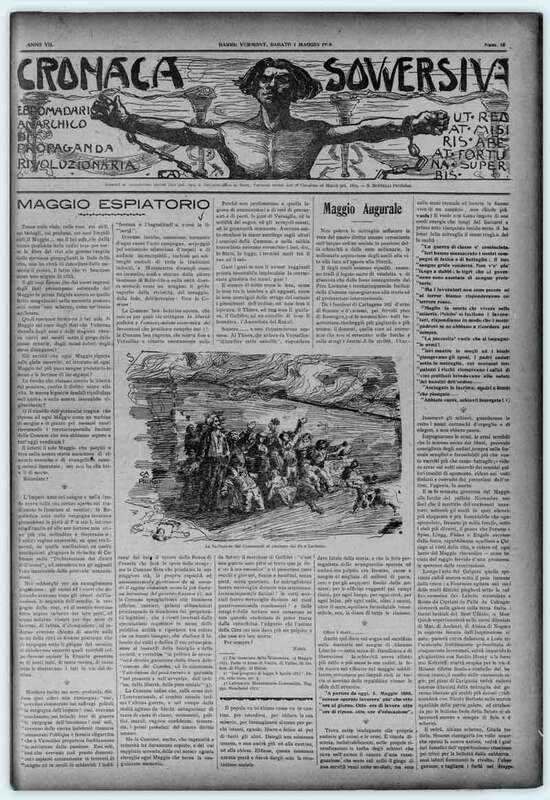 There, to the dismay of the authorities, he published the Cronaca Sovversiva newspaper, under its nominal editor Carlo Abate, a well-known Barre sculptor and teacher at the Evening Drawing School which was held at the Hall. Eugene V. Debs, the perennial national candidate and spokesman for the Socialist Party, spoke in Barre during each of his national tours in the presidential campaigns of 1904, 1908, and 1912. Other labor and radical leaders including “Mother” Jones, and “Big Bill” Haywood, and Anne Burlak (“The Red Flame.”) were also known to have spoken in Barre. The history of the Hall includes a constant litany of fundraising. The Hall was used to raise funds to support workers at home and worldwide. 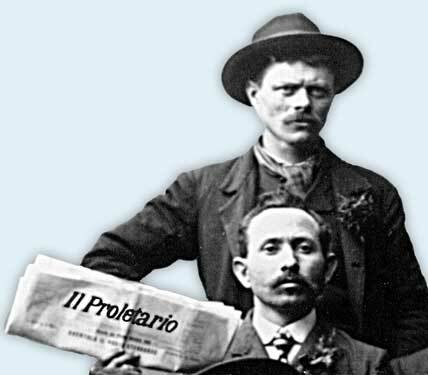 The adherents of the Hall gave substantial support for newspapers such as Il Proletario. 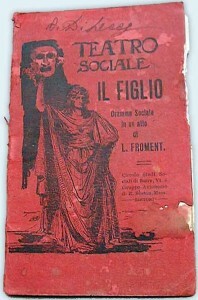 They supported the publications of the Circulo di Studii Sociali di Barre, which included radical educational materials and plays which were often performed at the Hall. when compared to that received by the workmen involved in other trades, is much higher. This explains why these comrades have been able to give assistance to us. 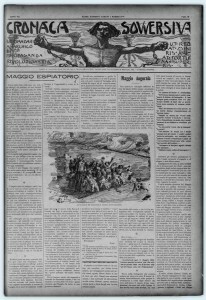 When in a meeting I was asked why the other Italian Circles did not support the newspaper as they were doing in many ways, and I spoke to them of the miserable pay of the miners and textile workers, those good comrades could not believe me because they had been persuaded that all the trades were equal to those of the stoneworkers. 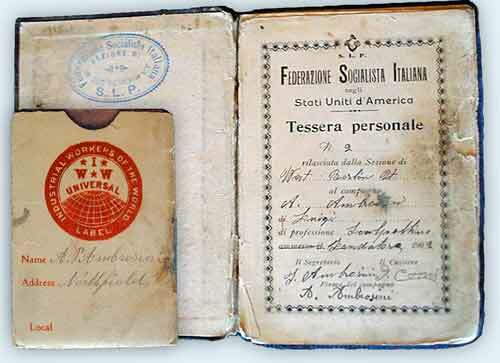 Within the same month in 1901, donations were sent to support strikers in Berra, Italy, and the strikers at U.S. Steel. Over the years, they supported the silk strike in Paterson, New Jersey, the copper strike in Calumet, Michigan, the coal strike in Ludlow, Colorado, in addition to supporting strikes in Barre itself. They also raised funds to defend accused anarchists Sacco and Vanzetti. One of the best known events in the history of the Hall was its role in the epic “Bread and Roses” textile strike in Lawrence, Massachusetts in 1912. In what was to become one of the most important strikes in American labor history, 20,000 mill workers, many Italian women, walked out in spontaneous protest against a cut in their weekly pay. Mass meetings were held at the Hall to discuss financial and in kind support for the strike. Arturo Giovannitti at the time of his September 1912 trial. Barre, like the much larger cities of New York and Philadelphia, offered to host the strikers’ children for the duration of the strike. Thirty-five children were greeted as they disembarked from the train in Barre with a heroes’ welcome, a huge parade followed by a “monster” banquet at the Labor Hall. All the children’s necessities were supplied. Food was contributed by the Union Cooperative Store. Maybe most exciting of all to children who had suffered frequent deprivation, Barre Candy Kitchen even provided them with sweets. The children stayed with the host families for over a month, not returning home until the strike had been won. After his trial and release from jail on trumped up charges arising out of the strike, Arturo Giovannitti, one of its leaders, came to the Hall to personally thank the people of Barre for their crucial support. Primo Maggio or May Day is the international commemoration of the 1886 Haymarket Massacre in Chicago. It was the highlight of the year at the Hall. The celebrations were the classic Labor Hall combination of the festive and serious. Although not an official holiday in the United States, the Labor Hall community did not work on May 1. Instead they participated in various activities including fairs, parades, lectures, plays, banquets, and masque balls. To commemorate the day, they would dress in their best clothes and have a special picture taken. Today the Barre Historical Society continues this tradition annually with a series of Primo Maggio events commemorating the combination of militance and enjoyment of life exemplified by the founders of the Hall. This spirit was shown by the amazing ability of the Hall to come back from the multiple floods that swept away the inventory and businesses located in the basement. However, the great flood of 1927 wreaked such havoc that recovery was very difficult. It was soon followed by an economic catastrophe which undermined the ability of even the adherents of the Hall to recover. 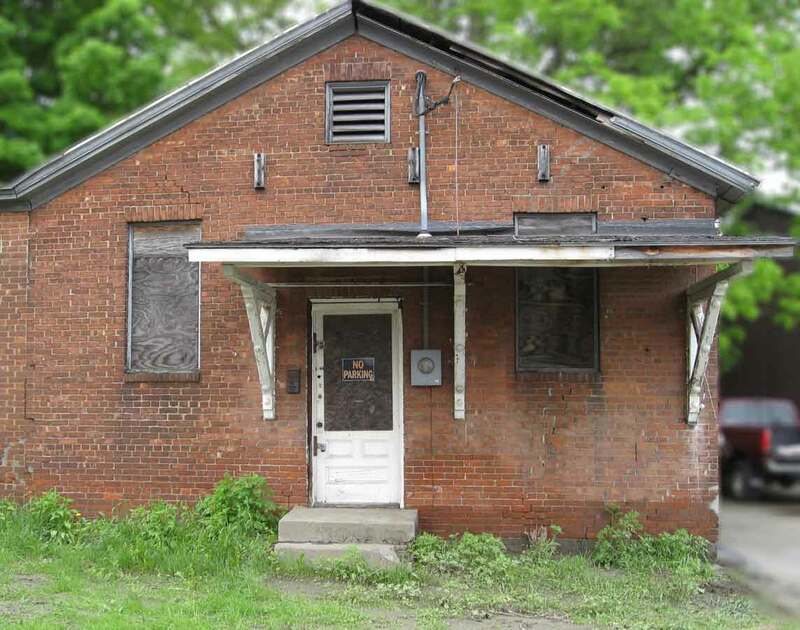 During the Great Depression, the cooperative spirit of the Labor Hall was alive and well as the granite workers set aside a portion of their wages for their unemployed comrades. But they were unable to withstand both the combined forces of nature and the “business cycle” and the Hall and the Co-op were forced out of business in 1936. For the next sixty years, the Hall was used as a produce warehouse under various owners. When the last owner declared bankruptcy in 1994, the Barre Historical Society purchased the Hall. The Old Labor Hall was restored with contributions of both capital and labor from the community at large and from trade unions across Vermont and New England. The Grand Reopening of the Socialist Labor Party Hall was finally held in the fall of 2000 to honor the 100th anniversary of its original construction. Today, the Labor Hall continues its traditions as a center for community activities, entertainment, and education. It is the regular business meeting place of several labor unions, and the home of the Barre Historical Society. 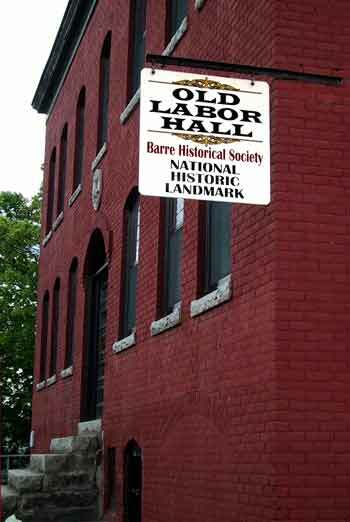 The Barre Historical Society promotes public awareness of the Hall, of the history of the Barre granite workers, and the vision of social justice of the Hall’s builders. It has been designated as a National Historic Landmark by the U.S. Department of the Interior and has been nominated as a UNESCO World Heritage Site. Most important, the Socialist Labor Party Hall is an enduring monument to the memory and legacy of the American labor and radical movements. This brief history is also available as a brochure. To order one or multiple copies, send a request using the contact form and tell us how many copies you need. 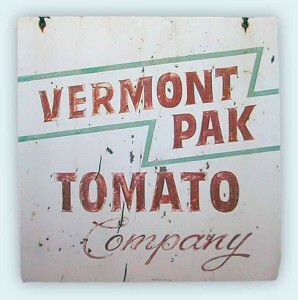 The production of the brochure was supported by generous grants from the Vermont Humanities Council and the National Endowment for the Humanities, the Vermont State Labor Council, AFL-CIO, Vermont-NEA, and the Vermont State Employees Association.